ALBANY – Joan E. Schrader Moore died peacefully on May 27, 2012 at Teresian House. Joan was born in Waterford, NY on September 4, 1924, the daughter of the late Roy F. Schrader and Grace McGarry Schrader. She was a graduate of Waterford High School and Albany Business College. She was employed by the New York State Health Department at the Griffin Laboratory and at the NYS Office of Professional Medical Conduct. She was active in Cub Scouts and Girl Scouts, a member of the Teresian House Foundation Board, The Albany Garden Club, and The Albany Institute of History and Art. She enjoyed designing and sewing purses as gifts for family and friends, and she enjoyed painting classes. Joan is survived by her husband of 65 years, Donald J. Moore; her children Donald J. Moore Jr. (Susan) of Glenmont, NY, Melissa Fox (John) of Canandaigua, NY, David (Cathy) of Rock Hill, SC, Brian (Cindy) of Ashburn, VA, and Thomas (Judy) of Cobleskill, NY. She is also survived by her sisters Barbara Hartling, of New Smyrna Beach, FL and Lorna McCartan of Albany. She was predeceased by her brother John Schrader. She leaves 14 grandchildren and 4 great-grandchildren to whom she was devoted. Unit, the staff at the Hospice Inn at St. Peter’s Hospital, and the caring Sisters and staff of Teresian House for their compassionate care. Burial will be at the Gerald B. Solomon Saratoga National cemetery at the convenience of the family. There will be no calling hours. A memorial Mass will be conducted at the Infant of Prague Chapel at Teresian House, 200 Washington Avenue Extension, in Albany at a time to be announced. 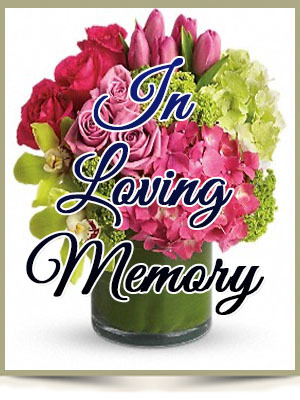 To leave a message of condolence for the family or send a sympathy card, please visit www.HansFuneralHome.com. Don and I were both saddened to read this morning of Joan’s death. We did not know her well but I remember her as a peppy lady whose presence brought joy to her fellow aquaaerobicers in morning sessions in the pool at the Guilderland Y. And we enjoyed talking with her at various Caregivers events. She was an upbeat lady who brought pleasure to those around her. You and your family are in our thoughts and prayers. Sorry to hear of Joan’s passing. 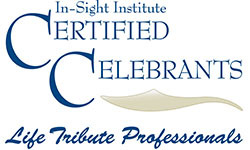 I fondly remember the years we worked together at Professional Medical Conduct. She was a wonderful employee and I thought the world of her.